JORDAN Clarkson wants to play for the Philippines. The national basketball federation has also asked the Cleveland Cavaliers organization to give the Fil-American clearance to play in the Asian Games. But Clarkson needs to clear a few more major hurdles before he can don the country's colors in the Indonesia showpiece. Samahang Basketbol ng Pilipinas (SBP) president Al Panlilio said on Thursday they are including the name of the 26-year old guard in the pool of players it is submitting to the Asian Games organizing committee. 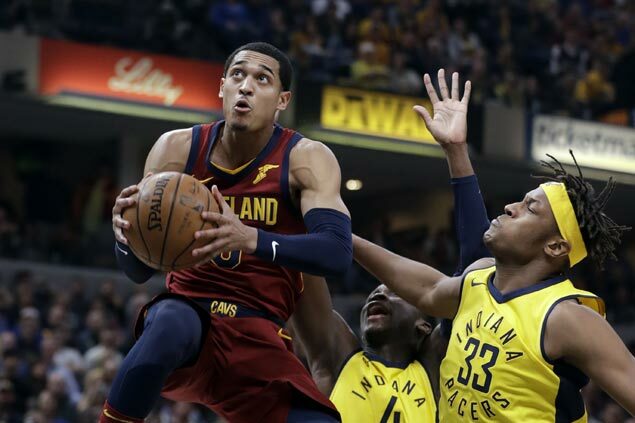 The 6-5 Fil-American has indicated his desire to play, prompting the SBP, through executive director Sonny Barrios, to write the Cavaliers organization seeking clearance for Clarkson to play in the Games kicking off on August 18. "He wants to play for Gilas," said Panlilio in a press conference at the end of a meeting by the PBA board that tackled the Philippines' participation in the Asiad. "Sonny (Barrios) also wrote formally asking the Cavaliers for clearance. Initial indications is okay ang Cleveland," Panlilio added. However, Panlilio was also the first to admit that the final say on Clarkson's eligibility rests in the Asiad organizing committee, which, over the years, has never been consistent in handling eligibility issues. While the Asian Games does not enforce the Fiba eligibility rule requiring dual citizens to acquire the passport of the nation they want to represent before turning 16, it enforces dodgy rules in terms of residency. Its rule requiring players to have resided for at least three years in the country they are representing has disqualified Andray Blatche from playing for Gilas in the 2014 Asiad in Incheon and figures to be a major roadblock not only for Clarkson but also for Fil-German Christian Standhardinger. However, it may be easier for the SBP to fight for Clarkson's eligibility since he is a Filipino by blood, unlike Blatche who is a naturalized player. Also, the close ties between SBP chairman emeritus Manny V. Pangilinan and Indonesian Olympic Committee head Erick Thohir can smoothen the road for the Cavs guard's eligibility. Pangilinan, who also has close business in Indonesia, and Thohir are both members of the Fiba central board and struck the deal that made the Philippines, Indonesia and Japan the co-hosts of the 2023 Fiba World Cup. "We are submitting (Clarkson's) name, we plan to submit his name. It's up to OCA if he is eligible," said the soft-spoken Panlilio.